These smashing summer beach party ideas will make you feel like you’re celebrating right on the beach! Summer always reminds us of the fun we have on the seaside. Who says we can't have beach fun without actually being there? Vintage beach party ideas have always been fun and enjoyable so let's bring the beach to the backyard instead with our own beach party menu and decor. From fun games to delicious treats, you won’t run out of party ideas to make it one to remember! Have you tried drinking healthy detox water? Enjoy your day with loads of flavored refreshments while flushing toxins from your body. Keep your guests hydrated with a twist by serving these fruity refreshing infused water recipes. Turn boring ice cubes into something fun with these creative DIY ice cubes ideas. Adding color to your cocktails and drinks by freezing edible flowers is a bright idea you don't see every day. You can also opt to substitute the flowers with herbs or fruit. Make it a luau by dressing up with these colorful flower crowns. Choose your favorite flower and get creative as you come up with the most beautiful floral headpiece. Have all your guests don one and they'll all feel like the belle of the ball! Check out the best makeup ideas you can try for your beach party. We always want to look our best and it's a good thing that we have a few makeup styles to share with you. There's always a way to stand out and look even more gorgeous with the right makeup for your beautiful face. The color of the sea just gives you that soothing feeling. While we’re at it, try this beach wave-inspired nail art. It's simply an amazing design for your nails and a fun idea to spend your free time. It will be just the thing to complete your look! Love the color and texture of the wood? This DIY 3D triangle beach party invitation will remind everyone of the beauty of the beach. Start printing this cute invitation and crafting it for the best beach party invitation ever! This is such a cute inspiration for a beach party theme. It's a complete package of Hawaiian warmth! The most challenging part might be the tree, but it'll be fun to take on. It'll be like a regular day in the Pacific islands with this cool beach party idea. Any DIYer can surely pull this off. 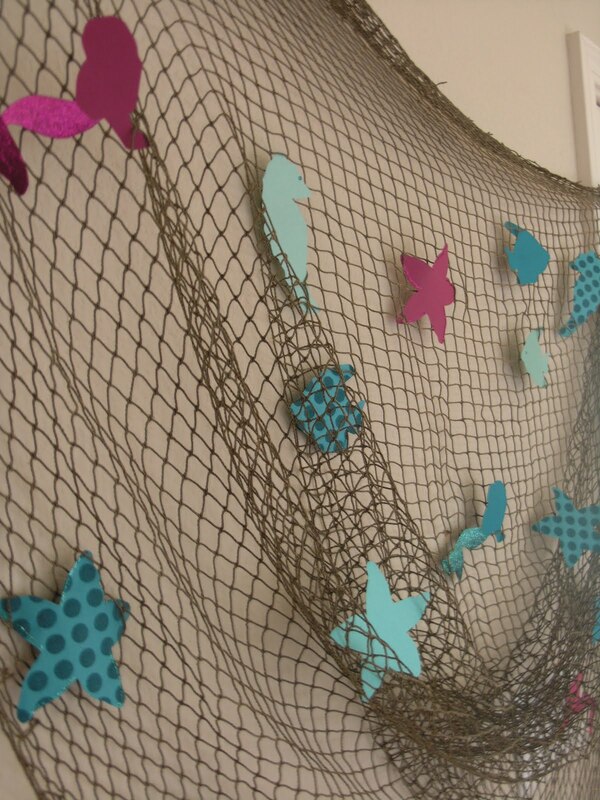 Just hang a net for your backdrop, cut up some sea creature shapes, then scatter them all over the net. This net backdrop will ensure a beautiful beach ambiance that doesn't require too much work. What’s the first thing that comes to mind for a beach party? Pineapples, right? These pretty painted pineapples make the perfect centerpiece for your beach-themed party and they're so easy to make. A paintbrush and some colorful acrylic paints will get the job done. 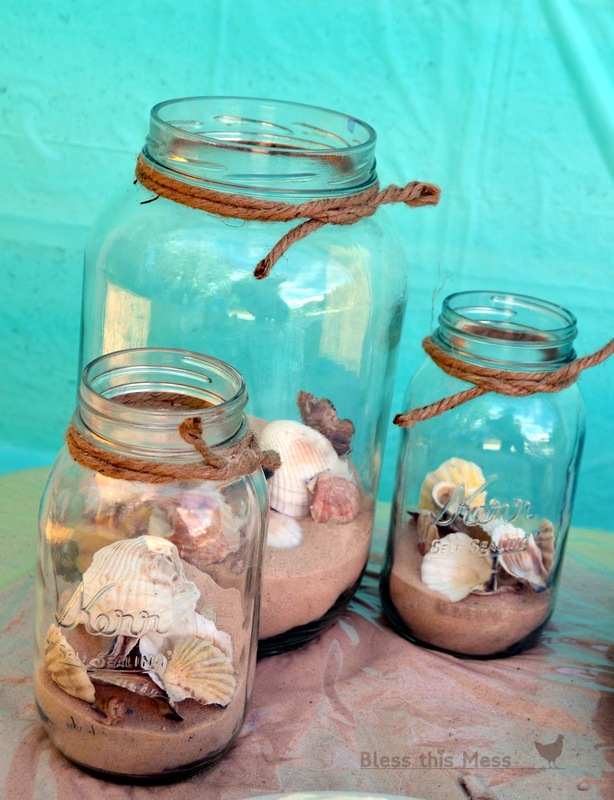 Grab some mason jars, fill them with sand and seashells, and you got yourself a beautiful mason jar beach party centerpiece. It would also look nice if you used a tea candle inside. A clever design that resembles an object from an old shipwreck, right? Are you having your beach party at night? Do a little upcycling project by using old bottles as cool DIY tiki torches. This is a great lighting idea for your backyard to set up your beach-themed party in the summer. It’s officially a luau now! Mix this amazing Aloha party punch everyone will surely enjoy. It's made with only four easy-to-find ingredients, just way too perfect to complete your island daydreams! Mix up some refreshing fruity flavors with a twist for your beach party. Have a taste of the tropics with this easy-to-make punch recipe. 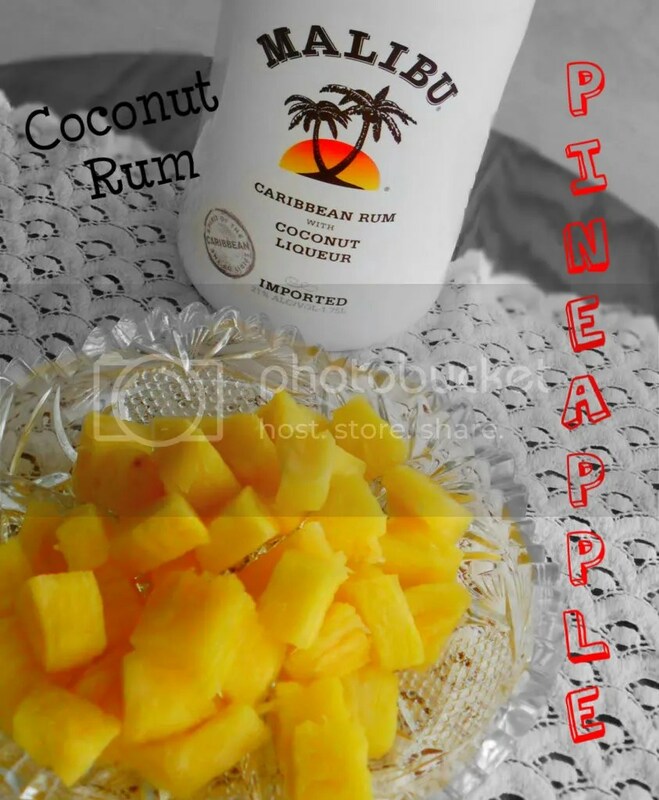 This tasty recipe is made by mixing a few tropical fruit juices that are fun and refreshing for everyone. Pour some white rum into it if you want to add a little kick to your drink. RELATED: 51 Fun Summer Activities You Can DIY! Hey, I know what you're thinking! Well, this is not actual salty ocean water. This is a cool refreshment fun for both children and adults. 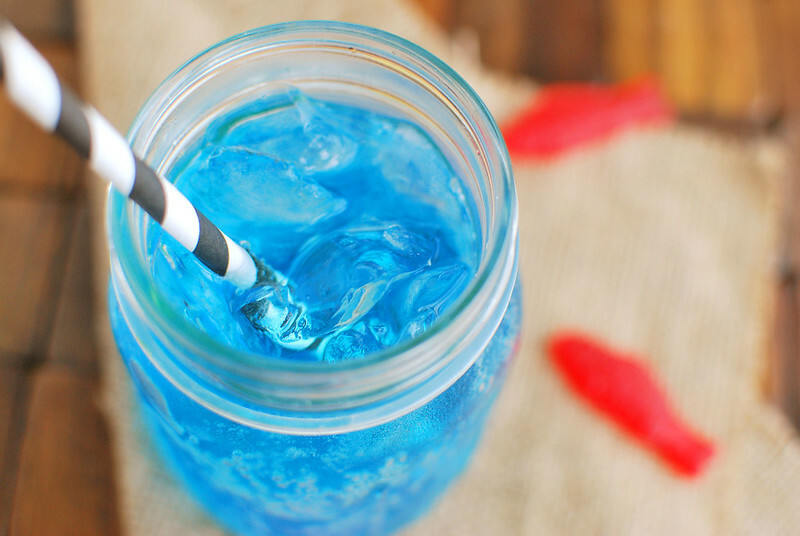 Imagine how your kids will react after seeing that gummy fish floating on their drink, not to mention how this beverage resembles the ocean color. Just what a beach party should be all about! Aren’t they just adorable? 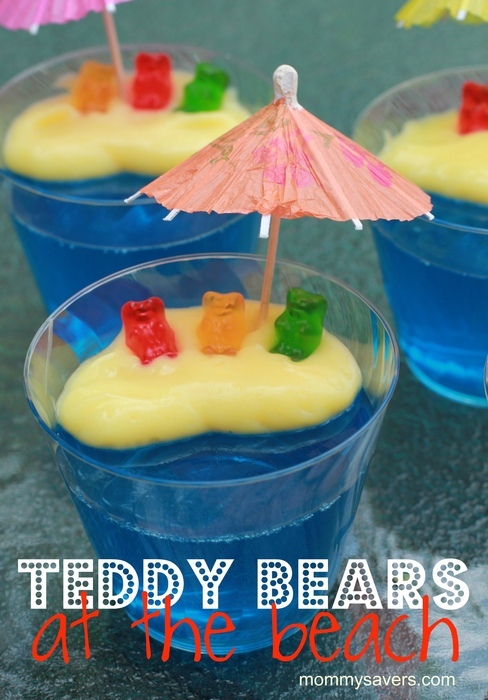 Make it with some Jell-O, gummy bears, and vanilla pudding. An easy-to-make summer snack perfect for every budget. The kids will be all over these tasty-looking treats so better be ready coz' it won't take long for them to empty the gummy bear container. 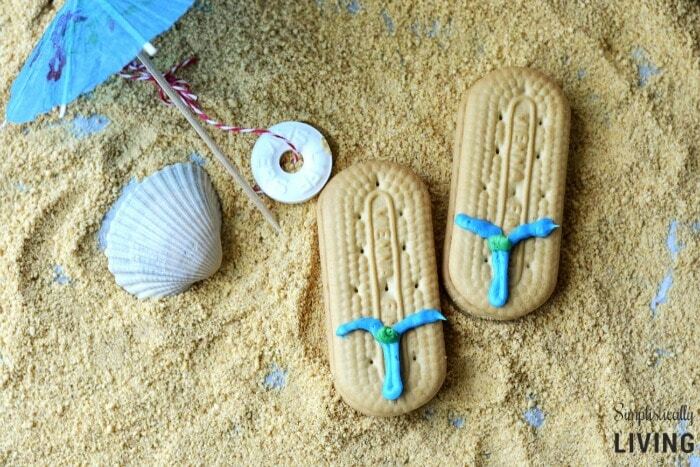 These beachy flip flop cookies look so cute and will be such a breeze to make. It's simple yet creative and something that will surely catch your attention. I can't think of a reason why this should not be included in your beach-themed party! These individual seven-layer dips will make an awesome appetizer for your beach party. What's so special about this dip? It's a delicious multi-layer dip of guacamole, cheese, salsa, taco seasoning, green onions, and more. Even better, you can bring your own cup around with you as you mingle! A sandwich that’s truly beach-worthy! This sandcastle sandwich is perfect to be served after everyone is done splashing around the pool. Why does it beat an ordinary sandwich? Well, it's the closest you can get to a sand castle at home! What’s a beach party without some seafood? Make a shrimp appetizer with this scrumptious Corona jalapeno shrimp recipe. Shrimp is soaked in a buttermilk and lime juice marinade to give it a delectable taste you can't get enough of. Help yourself with the perfect beach party food ideas for everyone! Don’t forget the staple of party appetizers: the deviled egg! But this time, give it a beachy twist. 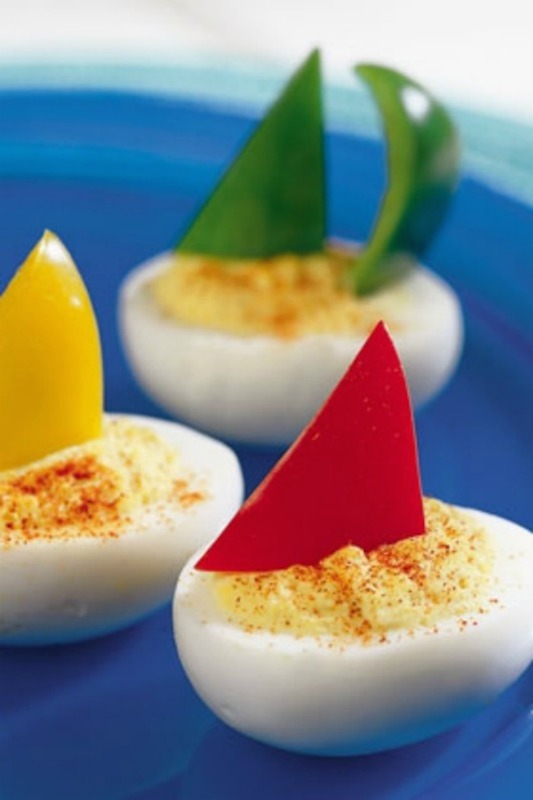 These deviled egg sailboats are easy to make, beautiful, and most importantly, healthy. Better serve these coconut rum-soaked pineapples somewhere the kids won’t be able to reach. The pineapple chunks are an absolute delight to nibble on at an afternoon get-together with your best buddies. It's a unique blend of fruit and alcoholic appetizer you won't forget. Think you can carve a watermelon? This is a genius way to serve your fruit platter. Just attach the head and limbs of the turtle with toothpick skewers. I so love this watermelon sea turtle! Make this beach treat for everyone who comes to your party. These exciting sand dollar cookies are bound to impress your guests with its sandy, beachy twist! Pack them in three's and hand them out as souvenirs! What’s a beach party without splashing around with water? Let every guest's inner kid out by making water bombs. 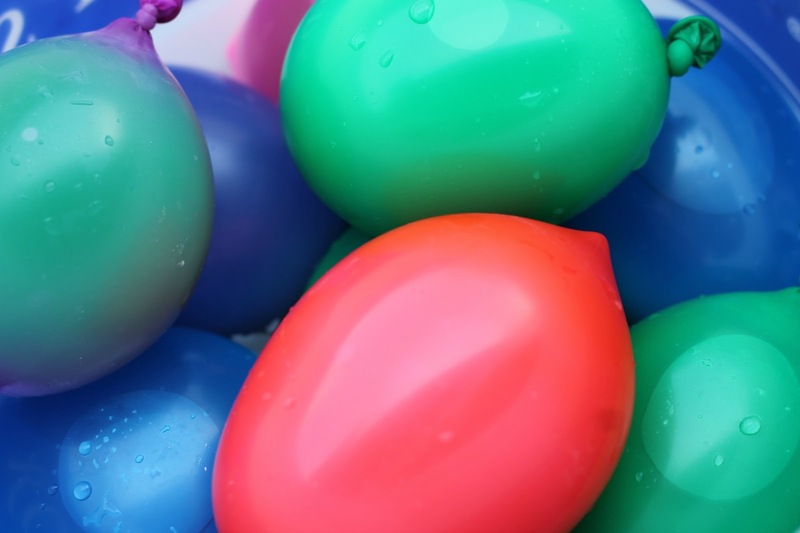 Fill plain party balloons with water, and start your water balloon fight! It's guaranteed someone's going to start throwing bombs even before all the balloons are filled. 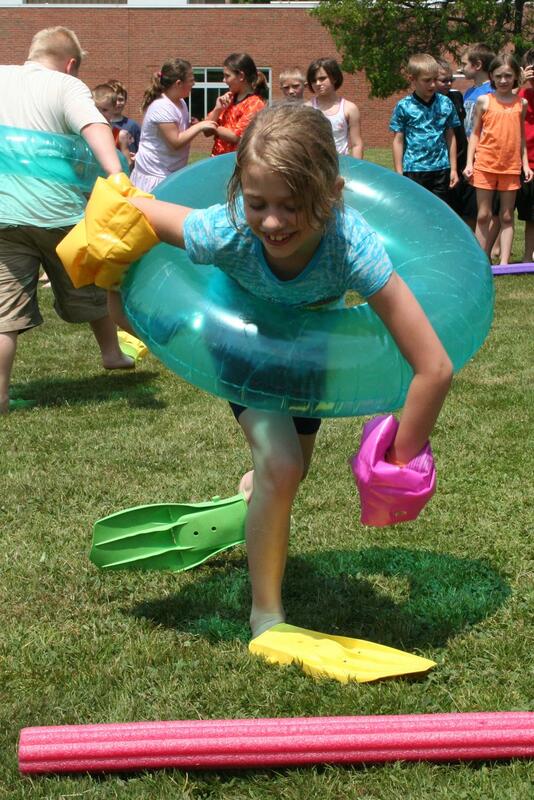 Gather all your swimming equipment and start this relay race with the kids and kids at heart. I'm sure you'll have a great party with endless laughter! Imagine everyone wearing flippers and running as fast as they can. That's genuine beach fun even without actually having to be there. 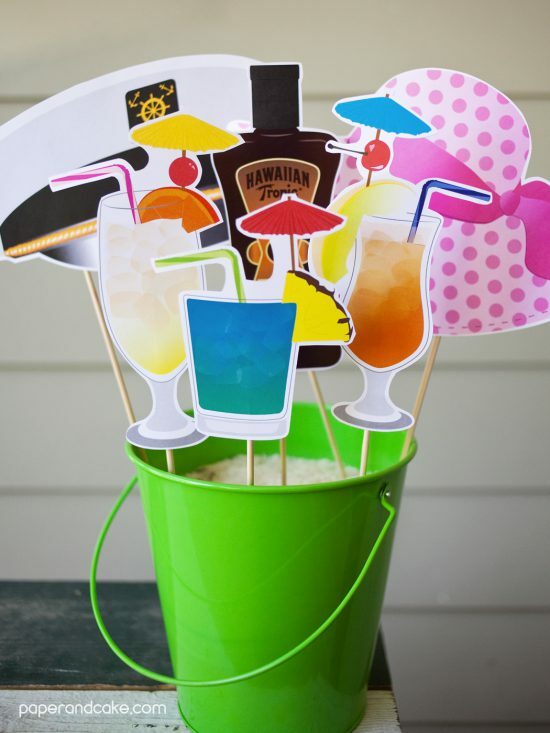 Everyone loves photos, and these printable photo booth props are a fun solution for your home beach party. Make amazing memories at your beach party with this DIY photo booth idea. I bet no one would miss the opportunity to have their photos taken. 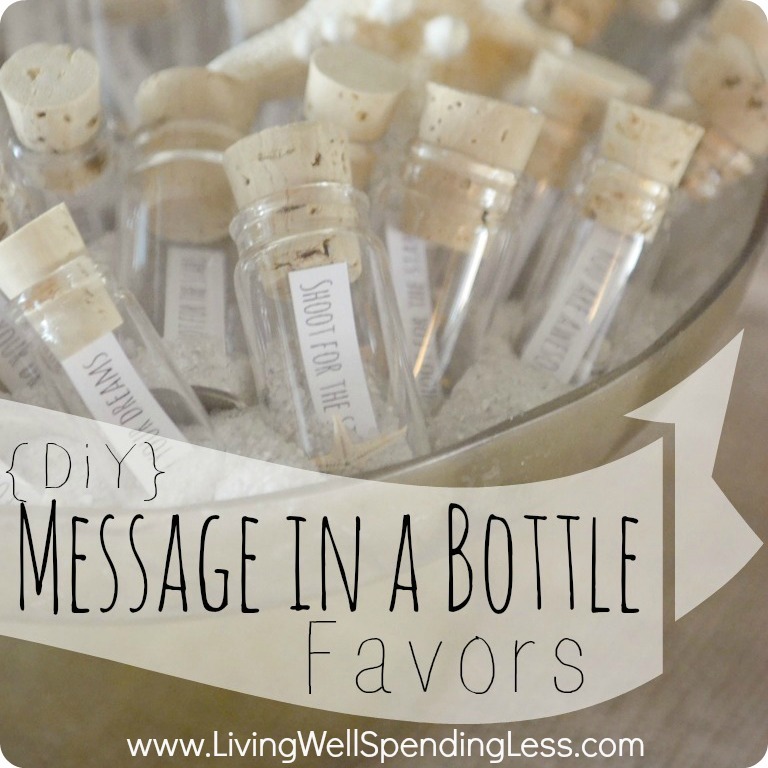 Have all your guests remember the magical party you threw by giving away these cute DIY message in a bottle favors. Everyone would love to have a keepsake they can cherish and recycle, too. This would surely keep wonderful memories for life! These ideas give us more reasons to love summer. 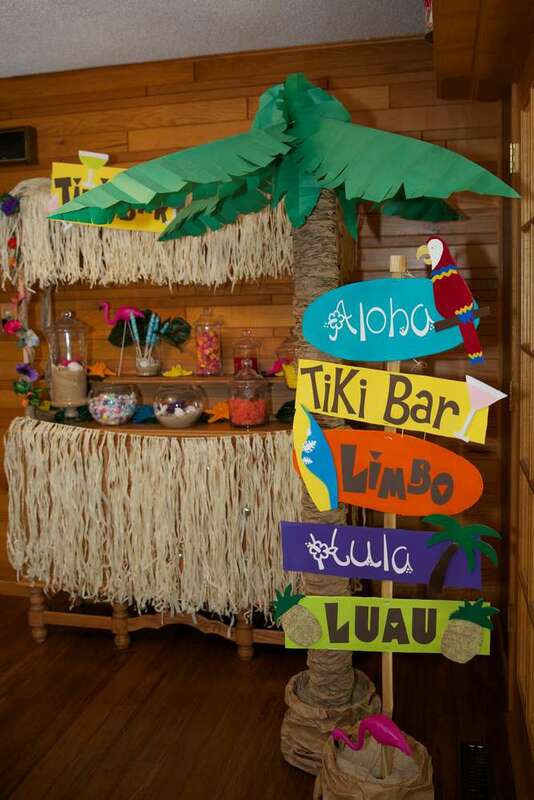 So, if you're planning to throw a beach-themed party, you'll have all these great ideas to choose from. Experience beach fun in a unique way and in the comforts of your own backyard. Do these beach party ideas get you excited to throw your beach party? Let us know how it went below in the comments! 4th Of July Backyard BBQ & Party Ideas to Celebrate Independence Day! Editor’s Note: This post was originally published in August 2017 and has been updated for quality and relevancy.